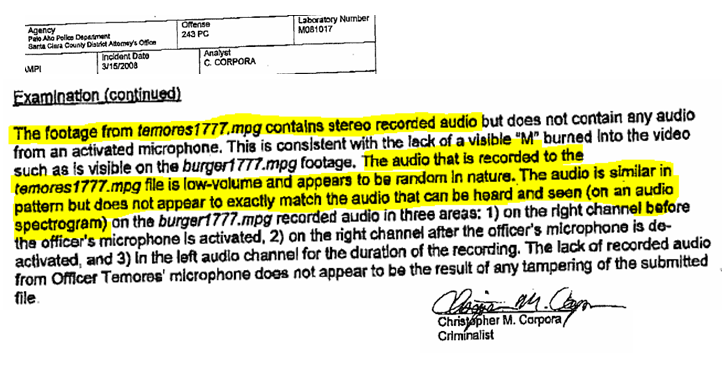 Officer Temores' MAV recording did not have any audio. Police Chief Lynne Johnson stated in an email to the public that the reason by Temoes' MAV recording was missing audio was due to a malfunction. However Ofc. Manuel Temores whose MAV video Johnson is referring to testified that the microphone did not malfunction but that the battery that powers the microphone ran out of power contradicting Chief Johnson. There is just ONE MAJOR PROBLEM with Temores' explanation. A fully charged battery can power a microphone for ten, (10) continuous hours. Temores came on duty at 5:00 am and the incident began at 10:00 am, FIVE hours later. If the battery was fully charged is should have powered the microphone for the entire incident. 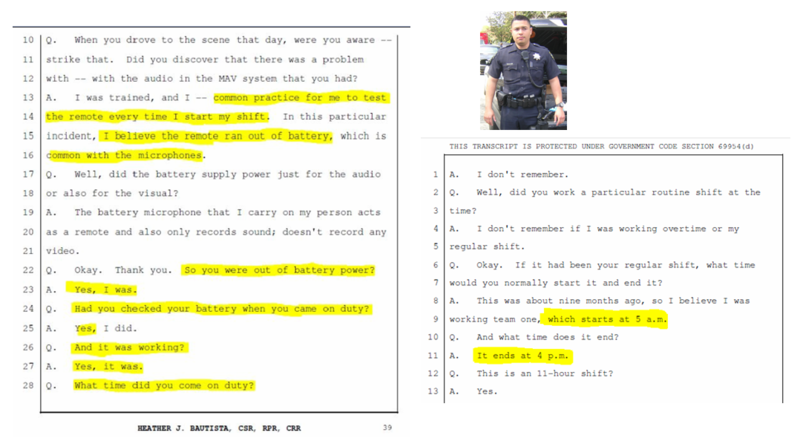 Even if the battery was not fully charged, Temores stated that the microphone was working, recording, at 5:00 am in the morning, thus even if the battery was not fully charged it should have at least recorded the first few minutes of the incident at 10:00 am if the battery had as little as a 5% charge. Temores' and Chief Burns, who was attending the court proceeding in which Temores testified to the above, reveal their bogus explanation when Temores states that, "IT IS COMMON FOR THE MICROPHONES TO RUN OUT OF POWER." 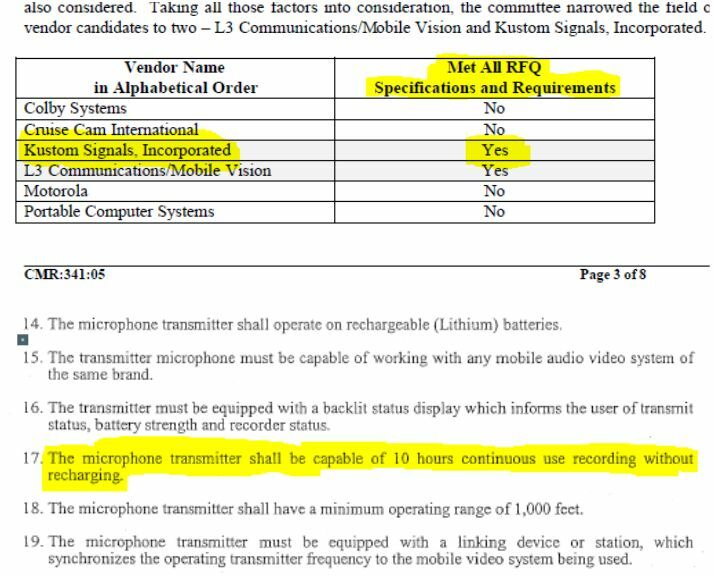 According to Police Chief Dennis Burns it is common for a very expensive recording device to not accomplish on a regular basis what the City of Palo Alto and the Palo Alto Police, purchased it for.